You live by the creed, you die by the creed. I love writing to try and get out of this crazy world and act like there is no problems for a hour. I'm addicted to the hobby and will try and play as long as I can, sometimes its months other times it's years. I am a competitive cosplayer, that also means the profile pictures are indeed me. So please ask if you want to use them and if you do give credit to Close Enough Cosplay. I'm a sucker for romance, sci fi, fantasy and just about any modern city with a twist like monster hunting or super powers. Been writing for years, I didn't learn how to read till I was 12 so the moment I got the hang of it, I could not stop. Filling journals with stories one after the other, my younger sister eventually got me into role playing and it created a monster. I will play with you all day if you reply, post for post and will give you as much detail as I can. I'm serious, I have dealt with depression for many years. If you need a stranger to talk to without judgement than feel free to PM me and I will listen, I may not have the answers to your problems, I'm not a all knowing god, but I am a ear that will listen if you feel you have no where to go. Quote:"One should never fear the dark. Just enjoy the light you have left." Occupation: Horse trainer and retired Olympic rider. Aurora is seen to be a beauty. With a lean build and fair skin standing in at around 5,2. Her eyes are what really set her apart besides the snowy form. Red and clouded as though in a veil of mist she almost always keeps them closed due to being bullied as a child. Many saying they are unnerving to look at. Method of Operation: No one knows that its truly her. Those that have gained her help have only seen the creatures that she calls forth. Usually beasts from mythology that have few features. If shes forced to be seen she stays silent, trying to keep her age and gender a secret. If anyone found out who she was, the world would find out everything about her in minutes. Instead she uses her tour as a way to keep her location foggy. Being a world and Olympic rider, she has been to all corners of the world. Each one earning a job or two from her. Her method of transportation is a horse she had conjured herself, what she sees as the only link one could give her. Still she reminds herself that she should never get involved with things too big, but the chance to use her abilities has always been too tempting. Superpower: Aurora has the ability to conjure beasts from stories she has read or been told. Using a leather bound journal as a catalyst to recite the right lines to call forth her companions. She found that the larger impact a story holds to her, the easier it is to call her creatures. Though strange enough she has found that it is more difficult to create that which is already in this world. Being able to make a wraith she has massive difficult in creating a bird. Many would think this ability is limitless. Sadly Aurora must read or hear the tale in which her conjure is being made from. Even than she can't always make them unless it had a impact on her in some way. Because of this she has a habit of asking others for stories. Any kind hoping that she could advance her abilities further. Her biggest weakness is that this only works when she has a sound mind and when the book is open. Growing up taming thousand pound animals has made her difficult to frighten. But if she falls pray to fear, the companions she had called would turn on her. If her book is closed her train of thought would break, causing the creatures to disperse and leave her side. Skills: an amazing horse back rider, her hearing is better than most. Memory is above average. Shes been told that her voice is rather calming due to her nature. Shes also had a good chance of catching a lie so long as it's spoken. Every story is written in Braille. Because of this she keeps it hidden from view and no one has yet to look through it's pages. If someone found out what was inside than the trail would be short in finding out that Aurora is the owner. Personality: Aurora is a seeker of knowledge. Someone who needs to know things small and large. Heavy and light. This was due to the fact that she was born blind, growing up with being sheltered and lead around she found herself growing tired of the treatment quickly. Even though she would have a pilot smile when someone offers to take her hand or tell her where something is, she would find herself loathing on the inside. Wanting to be as independent as she can be. Pushing herself to be better at what she dose to prove to those around her that she dose not need her eyes in order to live her life. She thinks that many who help her do it not for herself, but so they could feel better. Thinking that they would be a hero for a small moment, she can not stand the thought of being a tool used in someone's self need to feel important. And thus it has only added to her independence. Yet even with the quite demands of independence, Aurora is a calming presence. Soft spoken shes not one to raise her voice. When it comes to her friends, she is usually the one to end a fight with words alone. Comforting others when they are in need not using sayings of encouragement, but sitting at their side in silence. She had an interesting habit though. When in good company she tends to speak in riddles, thinking that it's due to the stories she obsesses over, she tries her best to keep it under wraps. Even so, those who she calls friends will tell her she slipped back into her odd way of speaking. Her greatest fear is being in absolute silence, she also tends to tap her finger on her cane. Sound is her greatest asset and without it she turns into a shell of her usual self. Fumbling over words and sometimes not able to use her powers safely. Biography: Aurora was born into the business of horses. Her father a trick rider and her mother a cross country racer, the two were a power house in the equestrian world. Before she was even born they were getting her ready with what style and what horse she would ride, only for their dreams to be crushed when they saw her for the first time. A tiny albino who's retinas never even developed leaving her blind. Yet that did not stop the girl from living up to her family's potential. She became connected with the animals that her family made a living from. Every fall she went through, she would stand from, no injury would ever scare her away. The feeling of power a horse would give was too great to leave. Where in any other situation she would be led around and treated like a child. In the arena she was expected to handle things herself and for once she herself could be the leader. At age six she was competing in not only trick riding, but cross country and dressage. Having a love for the stories that her mother would read her. Aurora began to print Braille in her own journal, often reading them out loud to her horse. After all, he was the only one that could deal with a 13 year old speaking for hours at a time. Sleeping in the stalls with her books clutched in hand the journal only grew thicker, and heavier. Till eventually the words she recited caused the animal to spook. Thrashing in the box and causing her to scramble out, screams of rage and fear ringing through the stable. Before she knew it her parents were at her side, asking her what was wrong yet whatever had caused the damage was gone. Again and again it had happened, each time with her reading. Its taken her two full months to find out that the cause of her horse’s spooking was the conjuration of creatures from her own words. Another idea that she could gain independence she began to work. Conducting experiments to figure out the rights and wrongs of her abilities. Its taken her years to find things out on her own. By the time she was 17 she was a competitor in the Olympics. Finally a chance where she was away from those who thought she needed them. All she needed was her book and her cane. Once walking through the stable halls at night. Checking her companion to make sure their first run in the Olympics would be fine. Yet as she opened the door she found something was wrong. Her stallion named Beauty in a Shadow, was gone. Her first thought was to contact the security to find him. Fear gripping her mind she could still remember the sweat that ran down her palms as she gripped her cane. Yet when she clicked it on the stone ground she made up her mind. Her book in hand she ran her finger across the pages. "With eyes made for night, and fire as fierce as a devil's light. He tracked down hunters of his land. And made them swear he could never stand." The sound of light feet pattering next to her she found a smile on her lips when the sound of a ragged fox was found at her side. To her eyes there was blank. Yet to anyone who saw it was a fox with two tails, told in Japanese lore to be the devil in a different skin, with eyes of lit green and a scroll strapped to it's back. "Find Beauty." It was all she said, and it was all she needed to. That night she took matters into her own hands as the fox lead her through the halls. Away from the stable and out to the parking lot to hear the half drugged screams of her stallion. That night something snapped, she no longer used her abilities to gain a smile, as she called forth a crimson wraith from the tale "a wife in the bog." The gut wrenching shrieks and screams rang true to her ears. the creature she chosen playing on their fear, having them see a different story as it led them away, leaving her stallion. Yet her story, while seeming to end at a good note. Her stallion back in safety and ready to ride again. The next morning she found herself plastered in headlines, she had been accused of being a variant right before she road into the arena. By the very humans who tried to steal her companion. She left after that, the heart warming tale of Aurora Lorell that was supposed to end in happiness was forever marred with slander. She left her home that same week, taking her savings and her reputation to find a place that would somehow accept her. It was a man named Damion who became her salvation. He had property for horses and knew nothing of them, or cared for them. She had passion and a wish for a new place to stay. Fallen from grace, Aurora now runs Beauty ranch. She keeps her head down and work professional, training horses that seem untouchable. Yet even with this new start that she still embraces at age 24, she finds herself still heart broken over the family that she left behind. Wanting nothing more than to be thought of as human again. A wish so great that she refuses to ever show her ability to anyone again. That is unless she has her mask, some things you just can't give up. 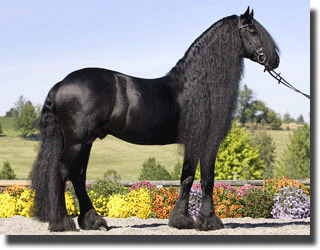 A friesian stallion who she named Loki as a barn name he was registered as Beauty in Shadow. All of these are drawn by me. A quiet soul who files down his horns and keeps a hood over his head. Tasar is someone who usually keeps to himself when it comes to relationships of any kind. But helping a stranger in need he'll do without a word. A kind spirit and extremely knowledgeable in the art of survival, his voice barely rises above a soft tone as though he is trying not to scare anyone away. He can be awkward at times though, with such a cross in species nobles have often tried to gain him in their company. Standing almost 6 ft with elven features and stunning eyes caused him to be the focus of very unwanted attention. He's a ranger of sorts, the ability to survive on his own in the wilds for lifetimes was gained from childhood. 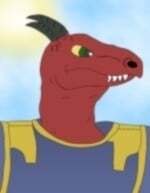 And due to some unknown history, he has an extensive knowledge in not dragon history or lore, but in their make up. How they live and thrive as though they were on the same level as a Hert. A powerful creature and one who wears her heritage with pride. Holding her head up high the woman is seen to be an intimidating sight. Standing at a head taller than most males, with a gaze that would silence most cocky attitude. She's cut throat, one who works till the job is done and has determination for her own values that would cause some to think she had Dwarven blood in her veins at one point. She'll lay her life down for another without a second thought. Though she has met few that could best her in battle when she's armed. Other: Like Tasar, Xathina knows more about dragons than most and is extremely tight lipped as to why. Reena is a small woman, being in a wheel chair most of her life had caused her grown to be stunted. While she has a very sweet face with soft features, covered in freckles, most would see her as a welcome sight. Her arms have a fair bit of muscle due to work and trying to get around through everyday life. 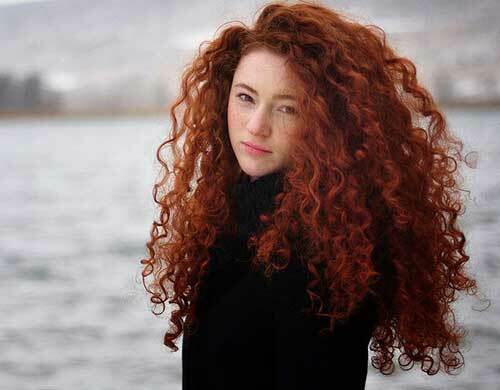 While her hair is what people say are her most striking appearance, thick red hair that curls down her back, only to frame a pair of warm grey eyes. Many would often tease her about being so short though, it was obvious that if she could stand, she'd still have to look up to see most people’s eyes. Personality: Reena is a sweet thing, growing up in a family that had a wild life sanctuary has caused her to accept the comfort and companionship of animals over humans. She's often been told that she needs to grow a back bone though, shying away and going without just to avoid confrontation. A soft spoken voice and often times being taken advantage of due to her throat locking up whenever she tries to defend herself. Even so, she is still very warm to those around her, offering advice when she can, and not being turned away from a outburst. Her family often worries that her nature would get her into trouble one day, far too trusting, and a little too easy going. She still looks at everything with a more optimist view, thinking that if she is patient enough, anyone could warm up. The only saving grace of her nature is that she has many friends and very few enemies. Reena grew up in a very loving family. The Durian's owning almost 60 acers of land, they turned it into a whildlife scantuary and reabilitation centre, stationed in the high pass. It was a child's dream, every day she would get to see birds of prey, wolves, big cats, even lions tigers and bears that were taken from illegal trading. It was hard work, her mother would show her how to feed them and there was a million ways to punish a unruly child in such a place. Her parents dotted on her as she was a only child, thinking she would take over the trade due to her absolute passion for animals. She took to horse back riding when she was only four years old, and she would often be seen talking to whatever new beast had been taken in. When she was five years old however, a storm had swept through Washington. Being so high up, the winds seemed to want to sweep her off the ground as the staff was scrambling to get everything secure and move the animals into the barn. Her father has herded her inside their home, giving her the demand to stay with her dog. The house creaked and thunder boomed, drowning out the yelling when Reena remembered that her horse Roxi had not been fed and that she needed to take care of her. With the naive child determination and her rotwhiler's whimpering, Reena pulled on her pink raincoat and marched out into the pestering rain. No one saw her enter the barn to see her beloved mare, as she was dragging over a flake of hay like it was just another day. The wind had taken it's tool on the barn however, pushing and pulling the old beams until the support buckled and the roof caved in on top of them. Roxi had to be put down, and Reena woke up days later, unable to fee her legs. Life was very hard for the girl after that. Her cheery loud and demanding personality shifted into a reserved and quiet child. Her head down as she would push through the day, her only comfort was the animals that would lick and nuzzle her, it was always enough to bring a smile to her face. But after the death of her horse, she stopped competing, barely able to ride now without being tied down. Still, her parents were determined to give her a better life and got her into music. Anything to give her confidence, and bit by bit, she broke out of her shell, only to fall back into it when faced with a stranger. She still worked the sanctuary as hard as she could, even taking in a large wolf that was caught roaming the area. Most thinking it should be put down due to how wild the beast was, yet she found a fondness for it, always careful enough to not get bitten. It was in the middle of the night when she wheeled out to go feed that very wolf that things changed. Meat in hand, she was putting it in the slider when she heard the most vicious sounds of crunching bones and tearing hides. Her eyes wide, she tried her best to get away only to be cornered by a team of werewolf hunters. It only took one to be hungry for her to be found by an old man in the middle of nowhere. Her chair a twisted mess back home while Reena herself was alone, scared and confused. The man wasn't the one who changed her. A doctor who smelled blood and realized that she was unfairly turned only for her sire to run and leave her her crazed wilds. One of the old mares back home drained of blood, while she hid in a hallowed tree in tears, trying to figure out why she was there or how she got there. It took a long time to coax her out, even longer for him to convince her that she could actually stand on her own. Disbelief and awe was what she was met with, for the first time in a decade, she could stand. He took her in right than and there, promising that if she learned how to control herself, she could one day return to her family. Sending someone to gather her things, Reena found herself being shipped off to the night school, and being thrown in a world she never knew existed. Advice To The World:If someone takes something from you, make something better. That doc is awesome! Also who wants to room with Gat or Mera! And I'm liking A, the design is simple so you wouldn't have to put too much thought into what is where, and it all draws into the centre. I'm warning you now, I wrote their back stories while on a ton of pain killers. Gat is the laid back looking student. A slight stubble, grey eyes and a slightly muscular, 6,1 build. His hair is almost never kept unless his sister does it for him. His clothes baggy, often times just walking around in sleepwear and a old pair of boots. Trying to get him to actually get dressed only earning him a pair of pants and oversized coat. He cares very little for appearance, he just wants to get things done, and get them done fast. 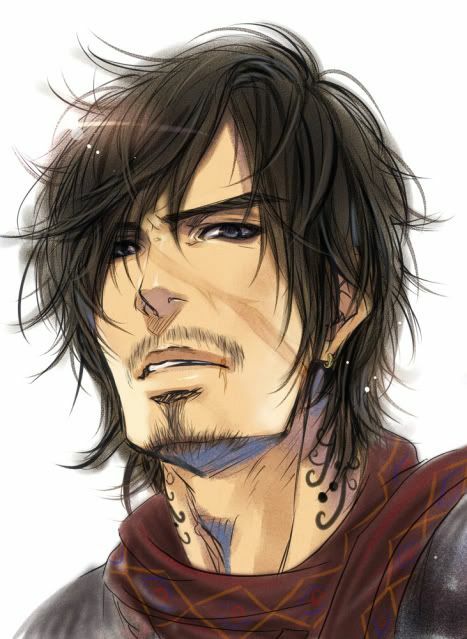 Gat's appearance from a distance would make you think he's quiet or laid back. Most of his friends made the assumption and regret it to this day. The guy is loud, boisterous, a terrible dare devil that gets himself into way too much trouble when on the field. He learns from doing, practising on his own, but it's never difficult to find him from the long string of curses that usually follow. He's the one you'd want to be at your party, but to leave soon after. Fun, outgoing and always there for his friends. If you give him a dare, he will never turn it down. If you come to him needing help, then you'll have it. An all around good person who is a tad protective over his sister who had recently enrolled into L'Mordryn Academy. He has a few habits. Clicking his tongue if its too quiet. Tapping his fingers on the table as he's reading, or whenever he finishes a meal. Half the time he doesn’t realize he's doing it. Gat didn't have much of a family. Just aunts and Uncles that lived in various towns and cities, all of them offering to take him and his sister for the night, but no more than one night. Everyone was struggling, they all had mouths to feed, and with their connections so shallow. He often found himself going to bed on an empty stomach after his parents were killed in a carriage accident. He was only 12 when he was expected to take care of Mera, and by the gods he was going to do his best. Often cheating and stealing, the boy would be a known annoyance all throughout Desrn, his home town. Swiping food, or coin from anyone who's attention was too far from him. Though his age wouldn't protect him forever, no matter what his reasons for stealing was for. Eventually, guards and shop owners were coming after him. Gat often times hiding his little sister and making a run for it so they wouldn't connect each other to his crimes. A few nights in jail, a few missing teeth, and lots of debt. Things simply would go from bad to worse, yet throughout it all, Mera stuck with him. The softer of the two, she would take on odd jobs to try and earn coin the old fashion way. A savings being made as she would tell him time and time again that she would save up and head over to a real Academy or gain an apprenticeship with a true magic user. It was a sweet sight to see her hard at work like that, but that didn't stop him from his acts. Over the years he made friends between the cluster of towns that he would travel between. Bar fights, raids, break ins, the like. A scrapper with a loud personality that we welcome in the old run down guilds that are seen as weeds in any settlement. At the age of 15, he was finally able to leave Mera by herself for a few days so he could get more work in. Brown stone, Desrn, Roamer, he would go from place to place. Each time getting more coin, and each time getting more targets painted on his back. He was determined to get Mera out of this life, and if she wanted an apprenticeship. He was going to send her to a mentor as far away from their home town as he could, so she could study in peace. Eventually, he stole something from the wrong person. His deeds finally caught up to him. An old friend of his, Normin, had tipped him off that a noble house was left empty for a few days as the owner had gone off to do something. It was too good to be true, but Gat had to go and see it. In the dead of night, the boy slipped in through one of the windows, Normin keeping watch as he grabbed everything he could. Jewels, gold, weapons with encrested hilts. 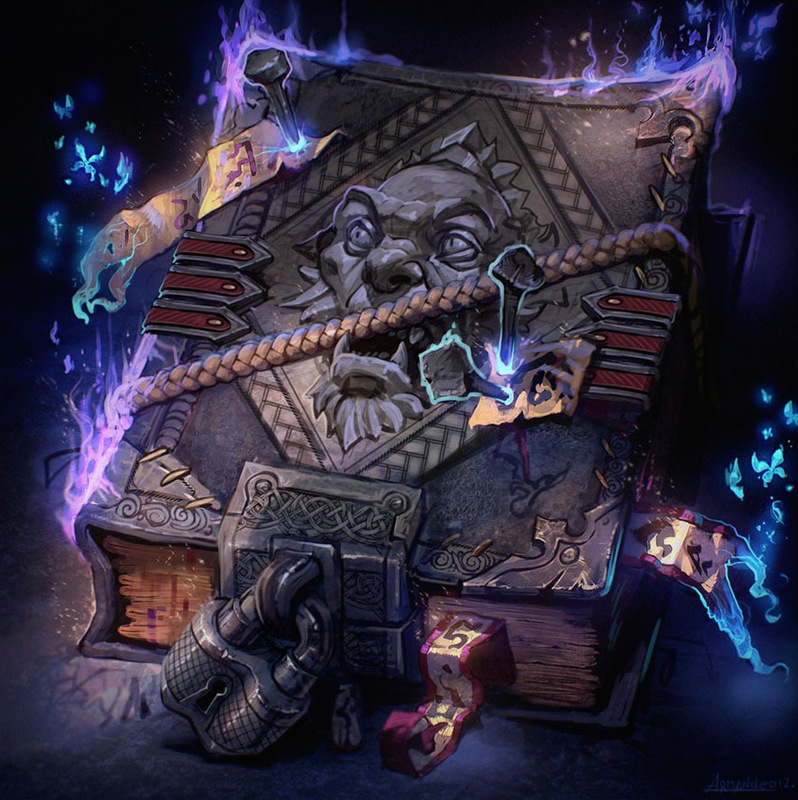 Eventually his hands sweeping over a book of hand crafted leather, and writing he could not hope to understand. Each page a work of art, as beasts seemed to simply flow through the paper. Without thinking he took it, strapping it in his bag and leaving. He didn't realize he stole a contract book from one of the head members of house Lorall. The members were known to be top summoners, having grand beasts at their beck and call, even from a young age. He didn't realize that the objects were linked to a warrior that was as ruthless as he was skilled. The ground shook when he entered Brown Stone, Gat not understanding what was going on until it was too late. 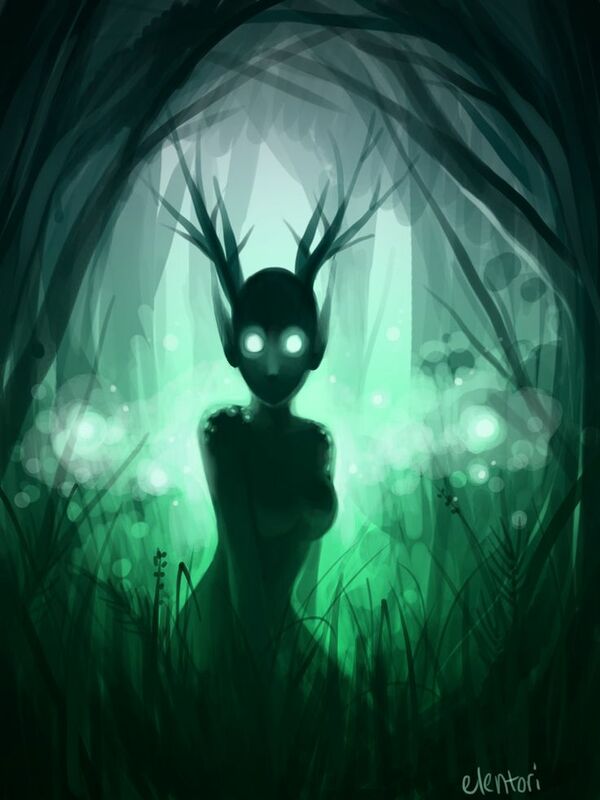 Byrin Lorall, the head of the house was waiting for him, a Leshen looming behind him, waiting to twist and tear their little hide out to shreds as Mera demanded he tell her what was going on. The door flying open, Byrin strolled in. He was shorter then Gat, much to his surprise, and the sight only caused him to snicker despite the ever looming shadow of death that was watching him from the door way. 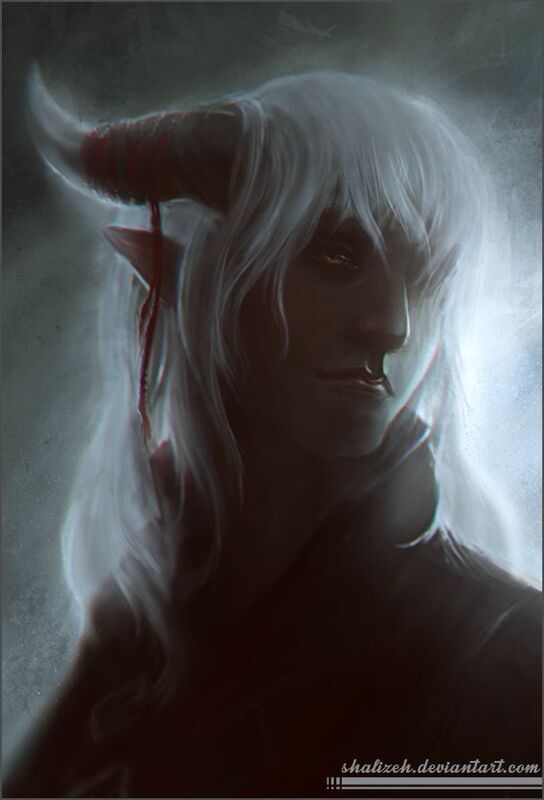 To this day, he has no idea what Byrin saw in him, maybe it was because he still laughed despite his situation. Maybe it was because he saw that he was stealing for his sister, a young girl who was already practising summoning. 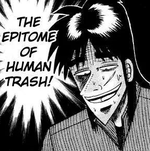 Or maybe the man was just crazy, board or thought he could beat the smug grin of Gat's young face. He wouldn't be able to tell you. Though, he could tell you how the pale skinned man held out a gloved hand and told him to walk with him, leading him out of the town, Mera a little ways off. How he asked him to explain the book he stole, as he began to explain the intricacies of summoning beasts. A long, long walk was in store for him, he walked him all the way back to the Lorall estate and set the book back on it's pedestal. Only for Byrin to explain how he and his child were looking for apprentices. That was the start of his new life. Gat was taught to read, to write. He was taught to fight, no more scraps and throwing sand, to actually fight. The lorall was not one for kind training, or days off. Every day was hell, but he took to each lesson as though his life depended on it, cause honestly, sometimes it did. He was 18 when he was finally aloud to summon beasts on his own, usually simple things like a dog, or cow. But the pride it gave was like nothing else. He was 18 when he was summoning beasts, and he was 19 when he was sent to the Academy. Living his sister's dream all because he stole from the right person at the perfect time. While her brother is a loud, bashful and crazed man that can be seen at every party the Academy has to offer. Mera is a very stark contrast against him, she's laid back. An easy going nature that will work with whatever she is given. She's quick to smile, and quick to befriend though her version of friends is just waving at you in the hall and knowing your name. A bit of a loner, you can often find her trying to perfect her craft in the strangest places, rooftops, bathrooms, stables. Anywhere that is not the study due to the fact that when she's training, she's always making noise. Clicking her tongue, humming a tune, or tapping something, anything really. She's been known to drive others mad with her constant noise, but its something that she really can't break any time soon. When Byrian Lorall came to take her brother. She was shocked, scared, and confused, she belived he was going to take the only family she had left and leave her to fend for herself in brown stone. Yet the man was fairly kind, soon telling her that his daughter was a gifted summoner, and that she was looking for someone willing to work harder than anyone. What he didn't tell her, was that his daughter lived on the other side of the world. Aurora Lorall, it only took days for the woman to show up. Skin as white as snow and softly closed eyes as she appeared at the estate seeming to fly herself, yet at a second glance, one could see the very feint outline of what appeared to be a drake. In her hand, was a cane of ebony, one that she tapped at Mera's leg, causing the woman to jump back, studying everything she could she asked a question that only made the woman laugh. "Are you blind, ma’am?" She only shook her head, tapping her cane and was already walking back to her drake. "No little one. I am not blind, I simply can not see." She didn't get much time to say goodbye to her brother, Aurora seeming to not want to stick around for long had Mera gather her things that same day. The ride being one of the most amazing moments of her life. What would have taken months, maybe even years, was only a few days ride on the back of a beast that she could hardly see. Mera spent her training with Aurora in the high peaks of icy mountains. It was cold, harsh and unforgiving, but she was quick to learn how to enjoy the little things. Like how there was always music playing somewhere. Or how Aurora, while seeming to be an old soul would laugh at her jokes. She was the first to see the sun rise, and got to see sides to the ability of summoning beasts that she never thought she would see. Auaora Lorall had made her summons straight from her mind. Easily one of the most advanced styles, and it only set Mera on edge when she realized that the beasts were always with her. Invisible creatures, forms barely moving through her vision, and always kept her on her toes. She was never alone, never a moment of peace and never a moment of silence. Her first real summons was not planned. She was hiking with Aurora, the woman telling her to lead since she always fell behind not being used to the air pressure. It was a normal day, wandering over the cliff side, herself become more sure footed with each passing day. She didn't remember was her mentor said to her right before it happened. The rocks were unsteady, ready to give out at any moment, that moment being when Mera stepped over it. She was in and out of sight before she could even realize what had happened. Sliding down, breaking bones, and landing in a cave so deep, that she couldn't hear Aurora's cries as she tried to tell her that she would get out. The most terrifying moments of her young life were spent in that cave. It was dark, dank, and every little sound she made was like nails on chalk board. Her gear was keeping her warm enough, but as time passed she felt the pangs of hunger twisting in her gut, the feeling of hopelessness as she paced back and forth to keep herself warm. The feeling of fear from the skittering sound of nightmares just beyond the shadows of total darkness. She was meaning to just call a companion she had before. A fox that was always happy to greet her. Yet as she reached for the link, the bust of magic that came from her desperation was enough to send her flying back. The clicking sound of mandibles, and tapping of what seemed like armour, boomed in the space around her. She was shaking, reaching out, only to feel the coarse, hardened shell of a beast that was very far from a fox. "H-hello..."
"You called me....Why would a thing such as yourself, call, me?" The voice was deep, interested. An air of power held with every word as it slipped in and out of her vision. Her mouth was dry, she was in agony, and so, there was only one real answer she had. "I was wondering if someone could help me." It lowered it's head Mera being met with three sets of eyes that seemed to bore into her very soul. "Tell me child, do you fear me?" The question seemed to hold a hiss, the sound of something else moving behind her, yet Mera just couldn't move out of sight from those eyes. "You haven't killed me yet, so I don't think so, no." "You call a Scorptur, asking for help? What a strange thing you are." Before she could ask how such a beast was here, or how she called it. She felt something grab her back pack, lifting her up and setting her on the back of a beast that was covered in some kind of hard shell, legs and tails. She could only feel blindly for a hand hold as the beast skittered up the way she came and into blinding light, only to be met with a truly terrifying sight of a creature that she owed her life too. "What is your name child?" The beast would ask, turning its capered head to stare at her. 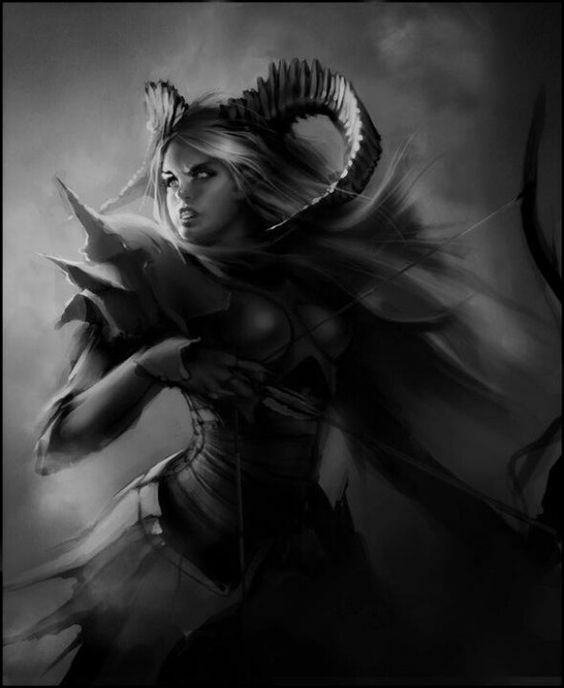 Mera found that she could only answer, the beast nodding before letting her climb down, so she could get a real good look at the summons that she had managed to grab, wile stammering out her thanks. "Well then, Mera. You're an interesting little thing, polite too. 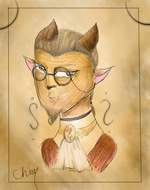 You may call me Spera, do try not to get into too much trouble." Spera ended up being one of her closets friends. A summon, yes, and indeed a friend. She always heard of beasts like the scorpion to belong to those with bad intentions, yet Mera just couldn't bring herself to connect the image now. Spera was a wonderful summons, patient, understanding, and always willing to be a second teacher if called. Though it was very clear to never disrespect the being, each tail holding a different venom, that Spera was all too happy to explain in great detail. As the years passed, Aurora had finally given her blessing to leave. Only for a letter to reach her from her brother, a conmen thing but one that was starting a new chapter in her life. An invitation to L'Mordryn Academy as a first year. 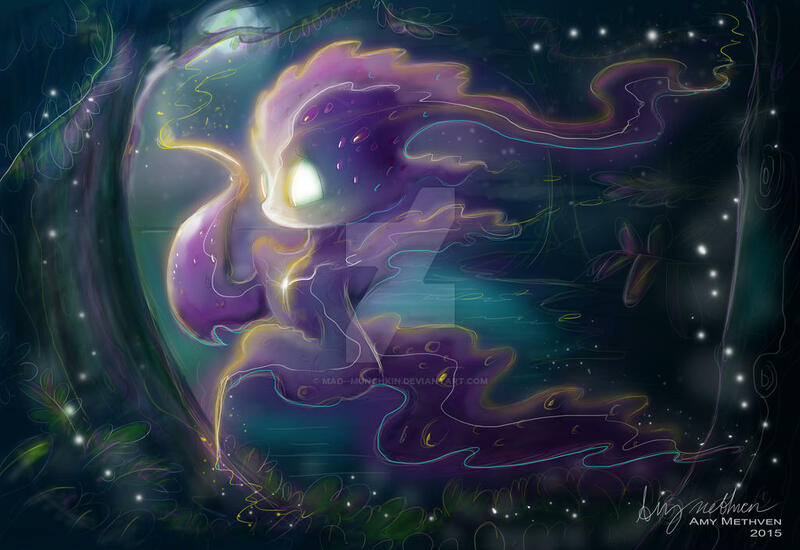 Nimp is a simple wisp. Not good for much aside from causing some laughs and offering a night light. Though Mera has always loved the little personality that the summon brings whenever she calls for it. Kidu is a simple forest spirit. A helpful guide that can be used to find your way around whenever you get lost. Few words are ever spoken, but so long as you offer the creature food, it will happily show you the way to wherever it is you need to go. 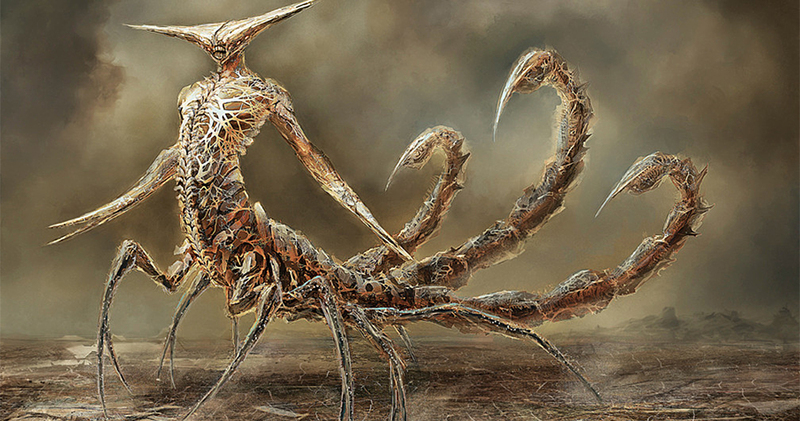 Spera is a Scorptur, a usually solitary beast that is heavily equpped for combat. Her on skills including the three tails. First tail: A tranquillizer that causes the muscled to go numb, and is ideal for capturing prey. Second tail: A venom, that will kill their prey within a few minutes. Third tail: The most important tail, holding the antidote. Spera also has a set of sharp claws that can be used as meelee weapons, and a piercing shriek that would cause lesser beasts to flee from her in fear. Though this is mostly used to her advantage if she just wants some peace and quiet. Spera is a old being elderly for a scorptur, board of her time in isolation, she answered Mera's calls due to her plain being so close. Though sometimes she will ignore the girl entirely, obviously being a bit high of a beast for the girl to keep up with. Yet she had some caring nature to her, willing to pass her knowledge to what is an eager student in her eyes. While most of her kind will find partners due to their cunning and strength. Spera found herself fascinated by Mera due to her gentle nature. She stared at a beast that seemed to be crafted from corrupted nightmares and brining death itself. Yet the girl was merely curios, asking for help despite the seemingly sinister voice she provided in the cover of darkness. She seems to be almost motherly to the girl at times, demanding she be better if they want this partnership to last, but still holding a bit of pride for the girl that was always striving to do just that, be better. For the human who held no fear for something that had mad even the most hardened warriors shake before her. Only asking for help, help that she was willing to give only for the human to grow on her. These characters all look so good. I’ll be working on my own soo. Still a WIP for the both of them. But really wanted to try a pair of siblings this time. 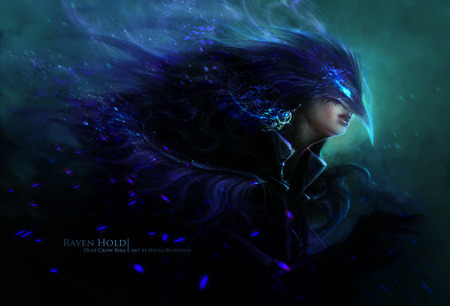 Also, Art, is it just me or is this the school of Nevermore from Variants. I need to join all of this!! Is there a sheet for characters or do we get the free range of them?